A gender balanced world is now expected. Everyone has a part to play- all the time, everywhere. Join us to celebrate the achievements and be reminded of its absence. Take away ideas to help create more balance. 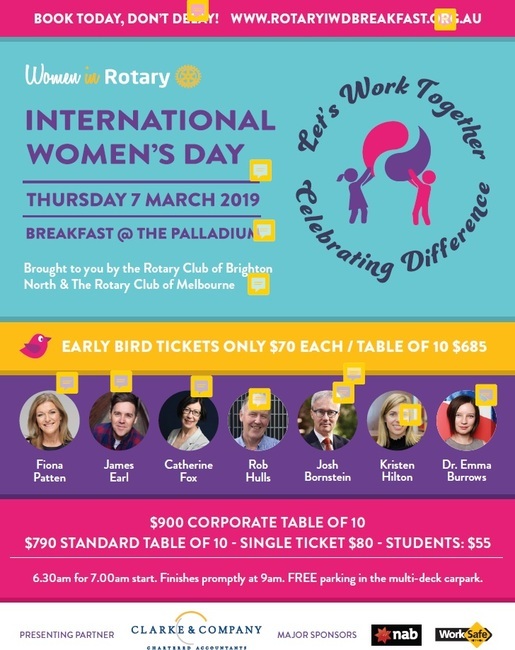 Start the day at the Palladium for a scrumptious breakfast, network with clients and colleagues and hear from those who lead the way on gender balance and equity in Australia.